Solution: For each of the following pairs of molecules indicate in the box provided if they are the same molecule, enantiomers, diastereomers, conformers, or constitutional isomers. If it is a meso compound, write MESO. 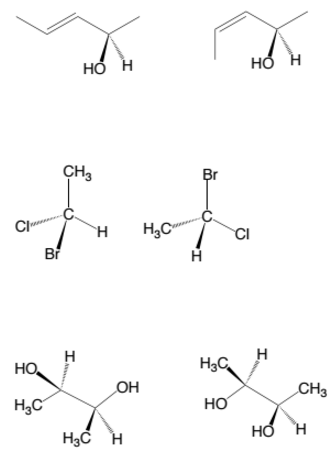 For each of the following pairs of molecules indicate in the box provided if they are the same molecule, enantiomers, diastereomers, conformers, or constitutional isomers. If it is a meso compound, write MESO.